Find the best foreclosure homes listings for sale — bank-owned, government (Fannie Mae, Freddie Mac, HUD, etc.) and others — in and near the Briarcliff Manor, NY area at Foreclosure.com. Get information on foreclosure homes for rent, how to buy foreclosures in Briarcliff Manor, NY and much more. 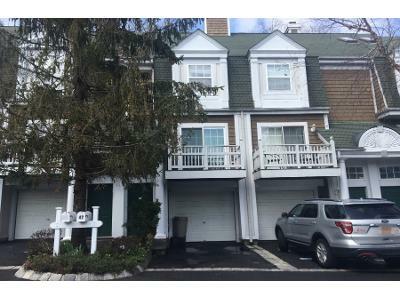 Save thousands at closing with home foreclosure listings in Briarcliff Manor, NY — up to 75% off market value! Briarcliff Manor () is a suburban village in Westchester County, New York, around 30 miles (50 km) north of New York City. It is on 5.9 square miles (15 km2) of land on the east bank of the Hudson River, geographically shared by the towns of Mount Pleasant and Ossining. Briarcliff Manor includes the communities of Scarborough and Chilmark, and is served by the Scarborough station of the Metro-North Railroad's Hudson Line. A section of the village, including buildings and homes covering 376 acres (152 ha), is part of the Scarborough Historic District and was listed on the National Register of Historic Places in 1984. The village motto is "A Village between Two Rivers", reflecting Briarcliff Manor's location between the Hudson and Pocantico Rivers. Although the Pocantico is the primary boundary between Mount Pleasant and Ossining, since its incorporation the village has spread into Mount Pleasant. In the precolonial era, the village's area was inhabited by a band of the Wappinger tribes of Native Americans. In the early 19th century, the area was known as Whitson's Corners. Walter William Law moved to the area and purchased lands during the 1890s. Law developed the village, establishing schools, churches, parks, and the Briarcliff Lodge. There are currently 1 red-hot tax lien listings in Briarcliff Manor, NY.